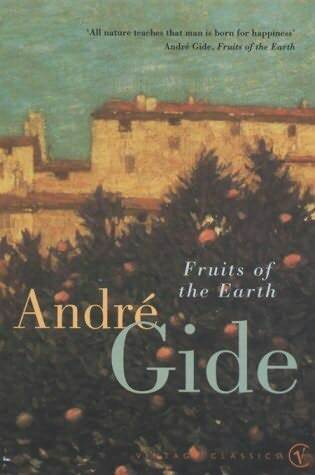 Andre Gide wrote Fruits of the Earth while suffering from tuberculosis. It takes the form of a long letter or address written to an imagined correspondent— Nathaniel, a disciple and Idealized companion—and is apparently a hymn to the heady pleasures that can be absolutely appreciated only by someone near to death to whom every breath is miraculous. 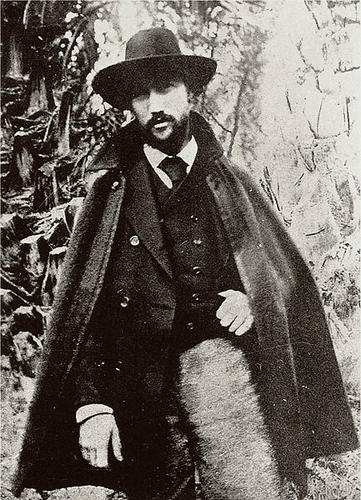 The book's mode—a combination of the didactic and the euphoric, incorporating verses and songs—caused it to be read as an alternative gospel, and it was for a long time Gide's most popular book, not least for its radical position on homosexuality. The new gods are sensation, desire, and instinct; the goals are adventure and excess. 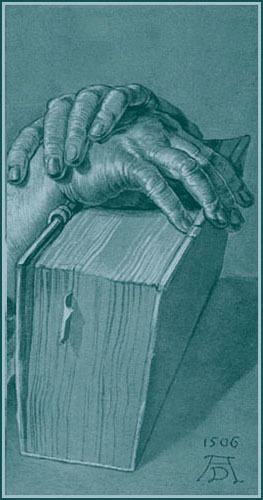 But an essential part of the book's doctrine is the necessity of renunciation. There is little pleasure In possession, and desire Is dulled by consummation. Conventions are inimical because they are constraining, but also because they involve false consciousness. 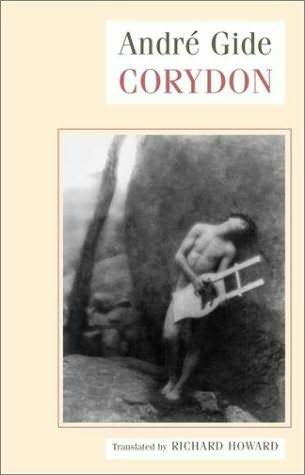 This aspect of the book's message was taken up by Sartre and Camus, and explored more elaborately by Gide in The Immorolist (1902). 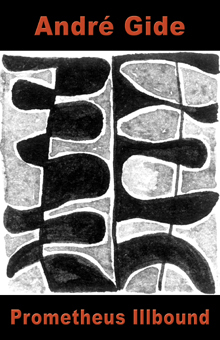 It would be easy to argue that Fruits of the Earth is not itself a novel, but in it Gide discovered at their barest some of the most fundamental principles of novel writing, and in the relation between the narrator and his ideal reader— "I should like to speak to you more intimately than anyone has ever yet spoken to you"—he found a way of charging a work of fiction with a sense of urgency that few writers have matched. 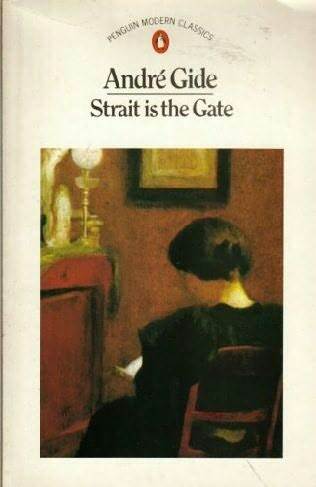 There is something irresistible, even seductively perfect about Andre Gide's Strait is the Gate. Technically the story is about love; as family comfort is withdrawn from them, two cousins find in each other resources of virtue and of beauty. Jerome loses his father before he is twelve years old. An only child, he watches his mother cherish her grief as he experiences his own in the too-early maturing of an already aged sensibility. His cousin Alyssa is despised by her adulterous mother because of her loyalty to her father, whose confidante she becomes. But to summarize thus puts undue emphasis on what is only a beginning; the facts of Jerome and Alyssa's existence—their high-bourgeois lives in a France that seems an endless round of luxuriantly flowered summers, but also scornful of the crudity of material change—have but a skeletal presence. It is their doomed, delicate, intense and difficult love that fills the text, and which, establishing itself as the only reality, explains Jerome and Alyssa. As a love that remains unconsummated, indeed that remains devoid of any physical engagement, it therefore remains a yearning, a mutual and declared yet lonely striving for one another. It is the prolonged and seemingly pointless trajectory from youthful uncertainty and caution to considered postponement then denial, that fascinates. With exquisite control, Gide has created an exploration of love that manages to capture the absolute yet open-ended nature of yearning itself.